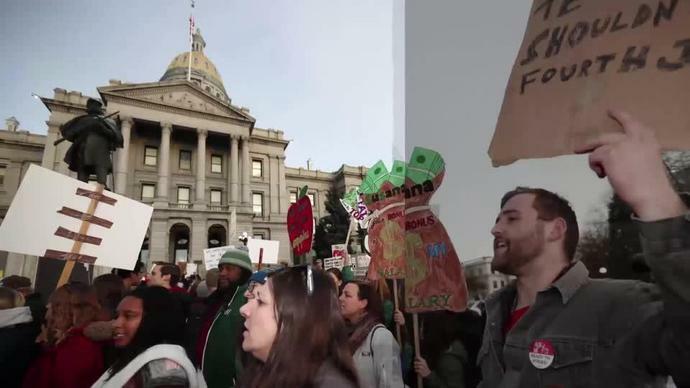 DENVER - Thousands of teachers are set to walk off the job Monday after failing to reach an agreement with Denver Public Schools administrators over salaries and bonuses - the latest in a year of teacher strikes across the nation. "It's not going to look like a typical school. We want to be honest about that," Superintendent Susana Cordova said. "The district's revolving door of teacher turnover must stop. DPS must improve teacher pay to keep quality, experienced teachers in Denver classrooms," said the union president, Henry Roman. Aren't teachers striking all over the country these days?